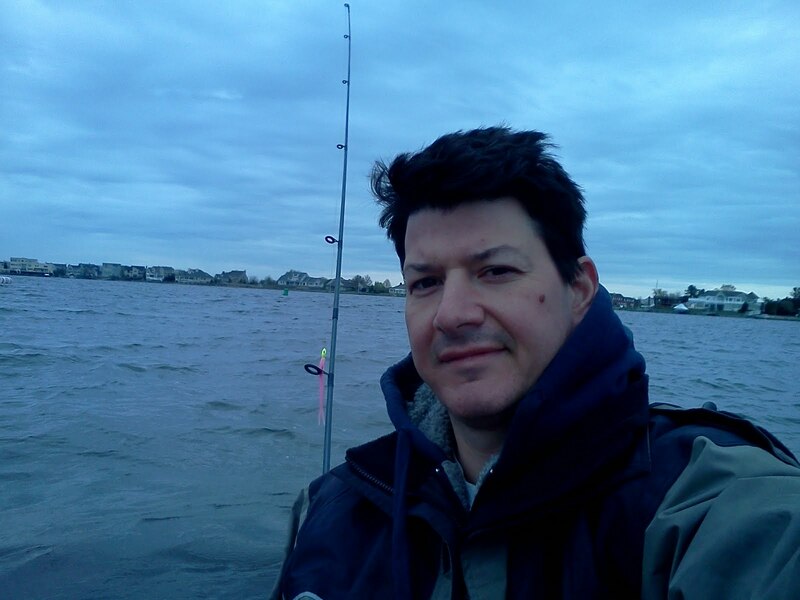 Survivor Diet Challenge: Day 13 DP - Where are the fish? 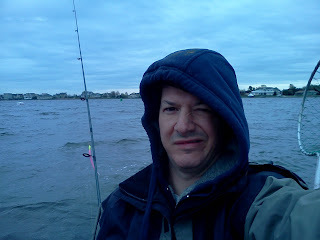 I was eager to wake up this morning to get to the beach and try some surf fishing. When I got there, shortly before 7, the tide was way up and it was rough. Not terrible - but rough. There were about 8 other fishermen in the same spot. I didn't see anyone catching anything. I had a hard time casting out beyond the breakers and after about 20 minutes I called it quits. Not worth the effort. I could really feel myself dragging too. As I walked down the beach in the sand, I felt weak and sluggish and I could only attribute this to lack of food. 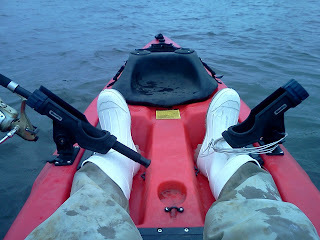 Next, when I got home I decided to try the river on my kayak. I trailered the kayak on my bike and rode down the street to the water's edge. I was a little skeptical because the wind was a bit too much for kayaking. I did the best I could but after a short while of paddling furiously against the wind, I gave up. I took a handful of casts to no avail. Hmmm. 9:00 am and my fishing options are once again nullified due to weather and poor conditions. Too windy - not good for kayak fishing - Yuck! I thought of clamming - today is the last day of clam season and I only have 3 left from my first trip. I didn't think about it too long though - just not interested in any more clams. Pretty pathetic huh? At least it's food - I should have gone because the season is now closed and that isn't an option anymore. Since I couldn't find any food I decided to pass the time for the majority of the afternoon getting my boat ready for its maiden voyage of 2011. The first boat ride of the year ALWAYS presents unforeseen problems and this was no exception. Something was wrong with the engine and my gear shifter did not work properly. I was hoping to get out in the river for some bass or blues but instead I ended up in my backyard with screwdrivers, wrenches, WD40 and a grease gun. I hope I am able to fix the problem. I was VERY fortunate to have a mechanical type guy at the boat ramp to point out some things to check on the engine. I hope some of his suggestions pay off. Might save me a couple hundred dollars in engine repair costs. We'll see. It's been another tough day. I had to polish off my last 3 clams for dinner. That's all I had left of my reserves. I steamed them and then diced them and sauteed the pieces in a little butter. Finally - butter with my clams. It was very good and it made me kick myself for not going clamming today. What was I thinking? Time to focus more of an effort on catching some bigger fish. I know they're out there - just gotta get to them. Maybe I have to get wet and see if I can spear one soon. Still need a solid 5 days of calm seas and low wind to make that even an option. Tomorrow morning I'm going to get up and try the kayak again I think. I have a softball game at 10 and there's a Marathon running through our front yard all day so there's going to be some other distractions tomorrow. I will try to remain focused on the fish though. Anyone have any other suggestions for food ideas?